From Richmond, Virginia, Snead was voted the fastest man in college football by the US track and Field/Cross Country Coaches Association of America. Snead attended Carson-Newman University, a D II school. There, Snead set school records for the 100 and 200-meter dashes and earned All-America honors during indoor season. On the football field, he is a raw; however, accordingly to NFL.com, he possesses legitimate world-class speed that could make him the fastest man in the league and an explosive leaper. During Pro Day, his 40-yard dash clocked in anywhere from 4.22 seconds to 4.26 seconds, and ran the 100 meter in 10.21 seconds. 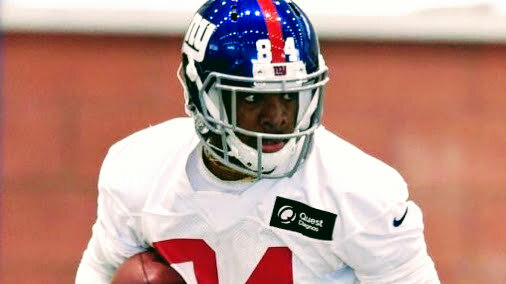 Undrafted, the WR/KR was signed by the New York Giants after tryouts. He showed explosive potential during the preseason and garnered Tyreek Hill (Chiefs) comparisons, but was waived due to a leg injury. The 6’0″, 190 lb. Snead will suit up in The Spring League in 2018 to show scouts there’s much more to his game than just awe-inspiring speed.